The crossroads of hospitality and entertainment, and how it will become more important in the next five years. Although we’ve seen tremendous growth in many areas of the travel industry, the ultra-luxury, top-tier has not been growing as fast as its consumer base is growing. However, five-star properties such as Belmond, Marriott and Four Seasons are all doubling the size of their luxury portfolio in the next three to five years. With all these luxury brands expanding so quickly, we’re going to see an abundant supply of product at the top end of the market. Because the consumer base is not growing in direct proportion to the amount of product that will start to flood the market, I predict that we’re going to end up seeing five and six-star properties giving three and four-star prices because they can no longer compete. The deciding factor is one of two things. First, how the hotels curate and use other brands under their umbrella and second, how to bring it all to life. By utilizing the fan base and social media platforms of these notable brands, it becomes easier to bring credibility to the halo brand as a whole. It’s no longer enough for a five-star hotel to feature its own spa, as the traveler is looking for brands they know and love. This makes the La Prairie Spa at the Ritz-Carlton New York a success, as well as the Bliss spas and bathroom amenities at W Hotels nationwide. At the One&Only hotels, Bastien Gonzales creates a simultaneous choreographed manicure and pedicure priced upwards of $300—and people pay it. Once we have those brand names it’s all about how we bring it alive. Several hotel chains have started to bring on external curators, hired to scour the overcrowded marketplace and ruthlessly edit until they find an assortment that is on-brand for the hotel. Enter what I call “hospitainment”: the crossroads of where we take traditional hospitality and create an intersection that allows us to program any space in a meaningful and authentic way. There are so many opportunities for properties to set themselves apart—here are just a few ideas. First according to the seasons: Is it spring, summer, winter or fall? Each time there is an opportunity to change colors, shades, music or ingredients to put something new in front of the consumer. From a marketing standpoint, each change is an opportunity to create a new voice for that offering every 90 days. Next, we look at the time of day: Is it morning, noon or night? So many hotels have broken the day into the morning time and the nighttime. The day can be divided into so many smaller segments, starting with what the experience is in the morning when a guest first wakes up. What is it like in the early afternoon? The evening? What about late at night? There should be a difference between the elevator music at 10 p.m. vs. 2 a.m., and a lighting change at the bar from happy hour to late dinners. In each of those areas we get to apply a five senses approach: what you smell, touch, taste, see and hear. Each time you make a change, think about the property’s DNA and what gets guests there in the first place. With so many choices out there, you want to be able to engage with your audience and clients in a very meaningful way. This comes only from smart programming that engrosses all of their senses. Whether it’s catering, floral design or staff uniforms, it’s always an opportunity to put a new offering in front of the consumer. This is how a brand successfully sets itself apart from the competition. 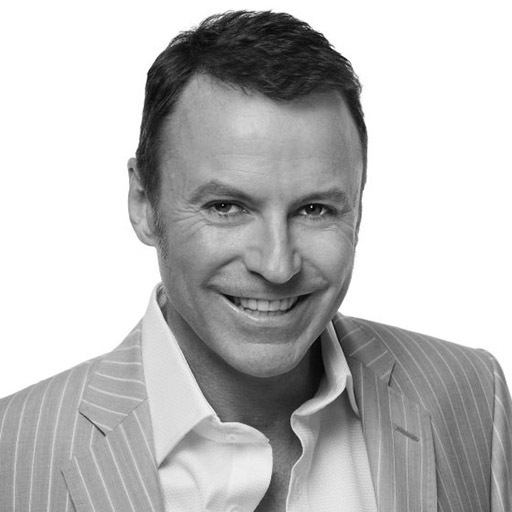 Colin Cowie is founder and CEO of Colin Cowie Lifestyle and the author of 10 books about entertaining and lifestyle.